Find Your True Food Budget – Reclaim Your Wasted Food Money! How do you balance convenience, nutrition, and food quality without breaking the bank at the grocery store? 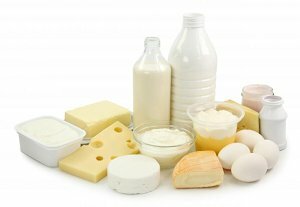 Do you have a Monthly Food Budget? 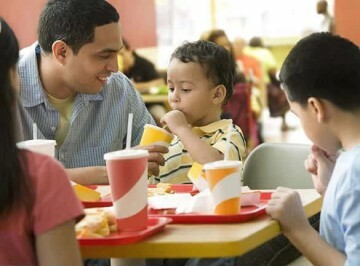 Is it a true reflection of what it costs you and your family to eat? We are going to focus on how to eliminate some of the wasted money that is part of our food budget — the budget we plan and know about, AND the outside spending that is really part of our food budget too, if we are going to be honest with ourselves. Start making some notes about which ones apply to you, because it will help you make an informed decision about your food purchases. 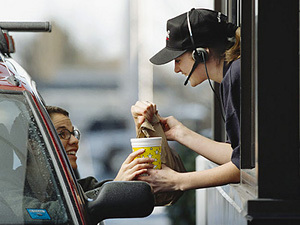 Is your life so busy that it’s hard to prepare and eat healthy meals, so you hit fast food joints a little too often? 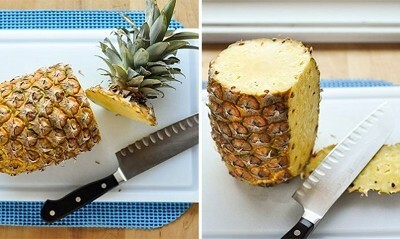 Have you ever had “science experiments” growing in your refrigerator because you didn’t eat the food fast enough before it spoiled? What do you do with all the peels, cores, rinds, stalks and leaves that you payed for when you bought your produce by the pound, that you don’t eat? 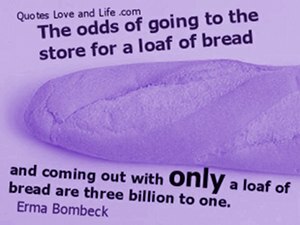 Do you ever run out of foods like milk, bread, eggs or sour cream and have to make a special run to the store? 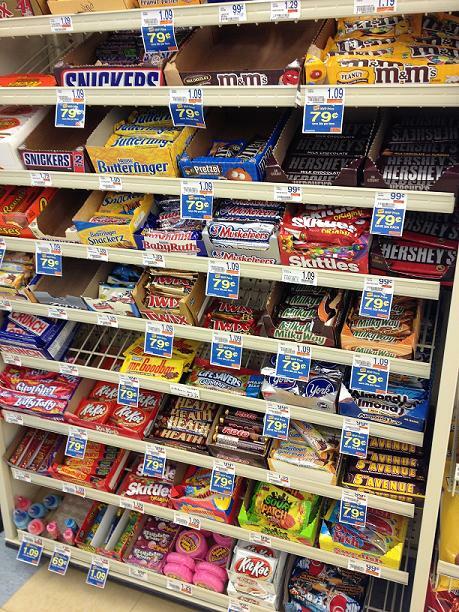 Do you ever go into the store for those 1 or 2 items and only come out with just those items? Or does the “impulse bug” grab you? The average American eats fast food 159 times a year? — that’s at least 3 times a week. With fast food running $5-10 a meal, that can add up to around $100 a month per person – now multiply $1200 X the number of people in your family to see what snuck into your food budget during the year! Write that number down in your notes. 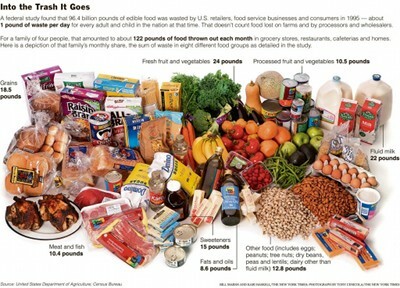 American households throw out a shocking 25% of the food on average? — Over 30 pounds a week! That’s an average $2,000 a year families fork out on food that never reaches the fork! — or $500 per person X the number of people in your family. Write that number down in your notes. 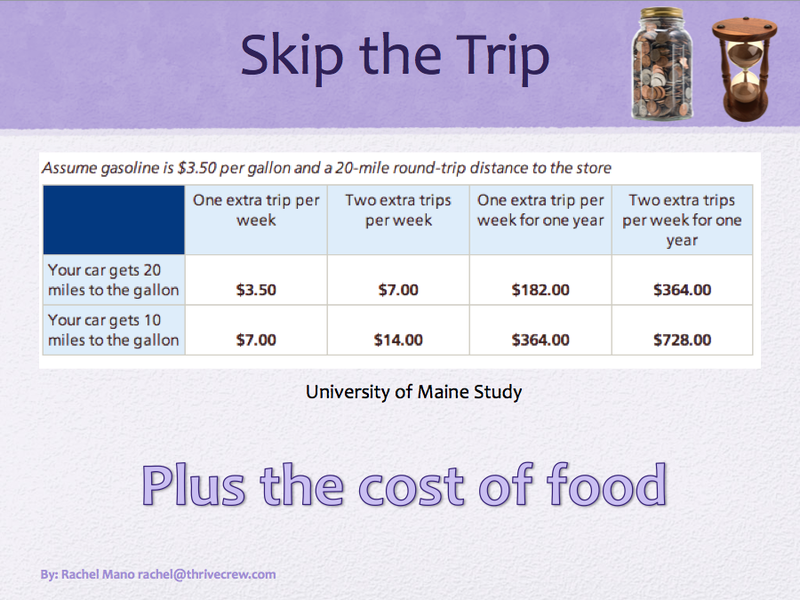 Gas could run between $182 – $364 a year if you made just 1 extra trip to the store every week? — based on gas at $3.50/gallon and a car that gets 20 miles/gallon. Write that number down in your notes. Studies show that anywhere from 20-70% of all purchases are impulse buys, and that the average person spends $114,293 on impulse buy in their lifetime? — Obviously, not all of that would be food. But consider, do you ever shop at Costco or Sam’s? How many times a month do you go? Do you ever get out of there under a $100? I rarely did, but I do now. Can THRIVE Save Me Money? YES! Let me count the ways . . .
1. 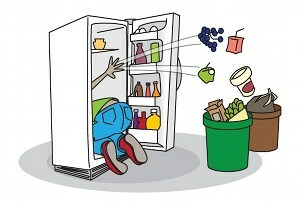 No more rotten food — No more dealing with perishable foods that spoil, mold or get freezer burn. Thrive won’t go bad on you in mere days — no returning from vacation to a fridge of stinky food. One of my worst offenders was celery. I haven’t bought celery at the store in 2 years and haven’t thrown any away and I use it a lot more because it is so convenient. 2. Pay for what’s edible — You only pay for the usable parts of the food with THRIVE! 3. No excess – No need to by buy food and see the excess go to waste — just scoop out what you need, when you need it – it’s already washed, cut, diced, peeled and ready to go! 4. Long Shelf Life — THRIVE foods have an extended shelf life of up to 25 years — even after opening, most are good for 1-2 years! 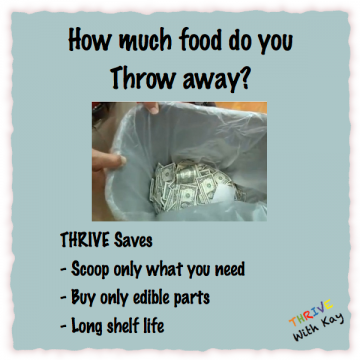 THRIVE can stop the drain on your wallet and shrink your grocery bill. Have you been adding up where you can save as we’ve gone along? 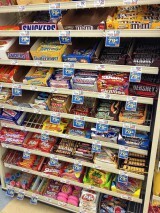 I love helping people save money and eat better! This entry was posted in Cost Efficient, Why Thrive? and tagged Fast Food, Food Waste, Save Money on Food on July 30, 2014 by Kay Curtiss.